A few weeks ago we received a package from the postman - a very special package. 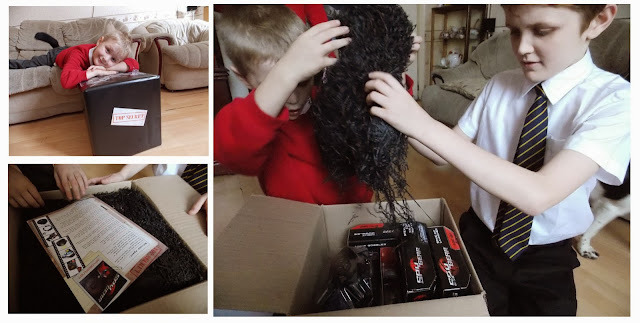 Wrapped in black paper with TOP SECRET branded across it the boys couldn't wait to open it up. Inside we found a secret agent welcome letter outlining our mission - to test and review the range of SpyGear gadgets and see if they passed the test to enable us to become top secret spies! 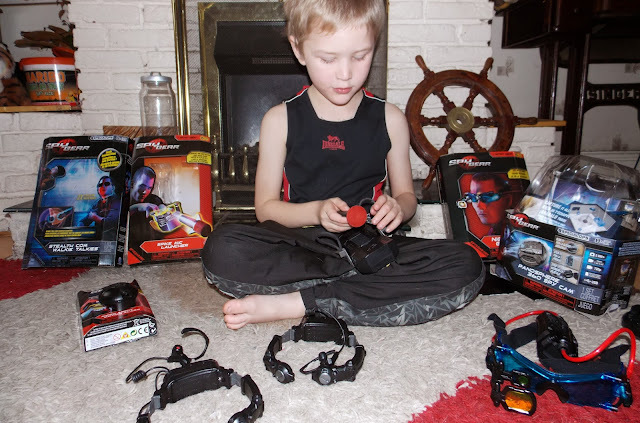 Spy Gear from Spin Master make a range of fantastic spy kit from the spy essentials to under cover surveillance tools to allow you to become real spies in your own home. The quality of the Spy Gear is amazing and we have been putting each item through rigorous testing over the past few weeks and we want to share our thoughts with you all. If you have a budding spy then do look out for Spy gear products I am certain they will be a big hit. 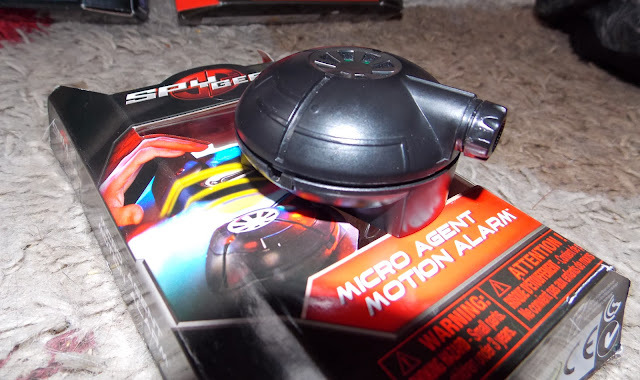 SpyGear can be purchased from leading toy stores such as Argos, Asda, ToysRus and Amazon The Products range in price from around £6.99 upto £69.99 depending on which product you purchase. 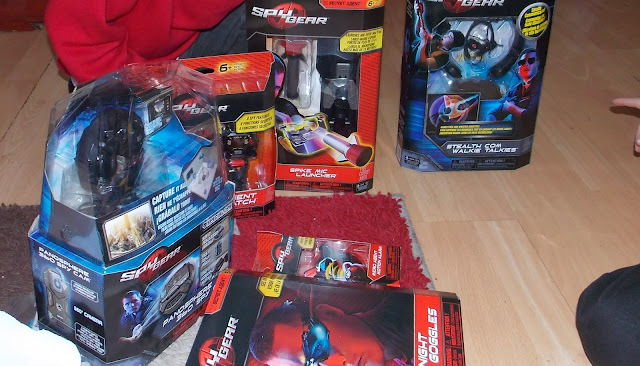 Where can I buy it: in the UK ToyShopLondon Ebay and Amazon, in other countries ToysRus has the watch available. This is a great Agent watch with loads of features. It not only keeps the time perfectly but also tells the time in 24 different countries so you can keep check of what time it is in London, Toyko, Hong Kong and Australia with a touch of a button. This fantastic watch also has a stop watch and an motion sensor alarm, but thats not all this watch also has a secret decoder screen so you can write your top secret messages then store them in the capsules hidden in the watch strap. This really is a great piece of essential spy kit and perfect for budding spies of all ages. The adjustable straps means it fits a wide range of ages. Where can I buy : Asda in the UK, or ebay and Amazon. 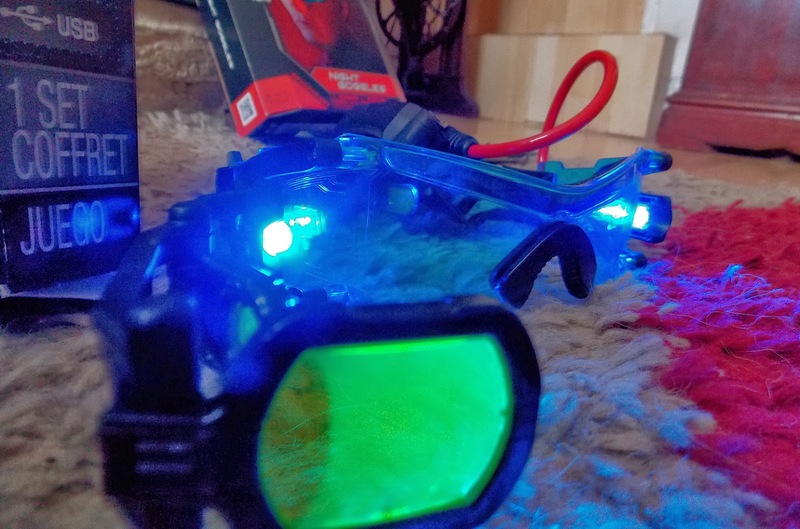 These handy night vision glasses have everything every spy needs, with the bright LED lights to eliminate darkness and the blue tinted lenses you can be sure to track your target even in the cover of darkness. The fold out 2x magnifying lenses gives you enhanced tracking ability. these goggles look super cool too! All good spies need to be able to be one step ahead of everyone else, and this clever piece of equipment ensures you know exactly where your target is moving too. This motion sense is small and can be placed almost out of sight but it will sound as soon as an intruder crosses its line of sight. Points to note: the alarm is light sensitive and works best in daylight. Batteries: 1 x LiPo 3.7v included. 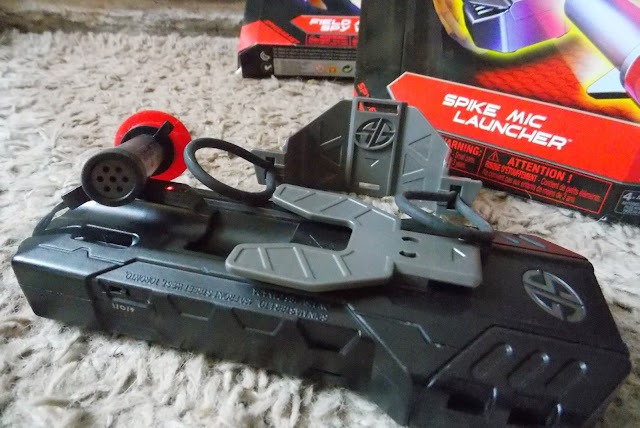 This is one of the most used and favoured pieces of spy kit , The Spike Mic comes with the rechargeable station, the mic launcher, the mic, and two different dart tips. This amazing bit of kits allows you to launch your mic with special dart upto 50ft, and depending on which dart tip you pick you can fix your dart to almost any surface. Then listen in to the conversations from afar. The recharge station has a built in charging port to connect the dart upto when it needs charging and also a headphone socket to connect up headphones to enable you to pick up the conversations from your mic. Points to note : you do require headphones which are not included in the pack, the red sticky dart tip picks up hairs easily - but can be washed clean. The mic launcher works really well and the conversations can be heard really clearly from another room. These have been another huge hit, these stealth walkie talkies are simple fantastic! In the pack you get two walkie talkies. 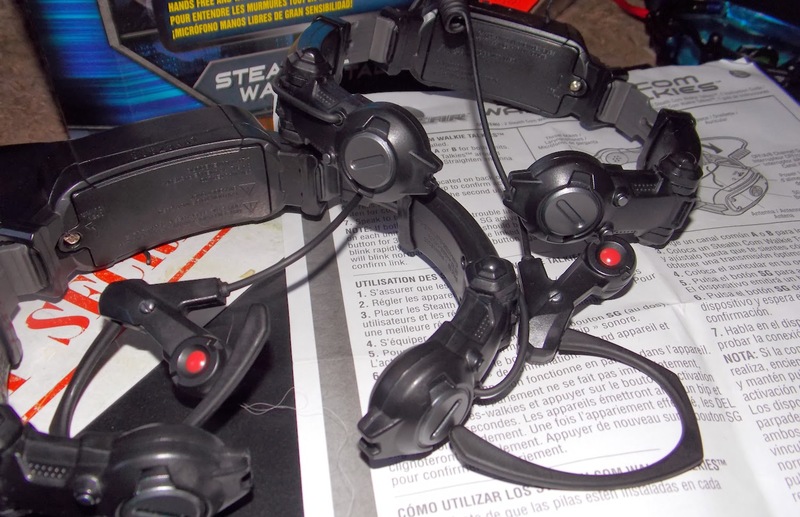 The headsets fit around your neck so the mic rests on your throat and picks up even a low whisper, the ear piece slips into your ear to enable you to hear clearly what your team mate is saying. There is a small antenna attached at the back on the battery box, and a channel selector. To activate the walkie talkies ensure both are set to the same channel then press the SG button on each. These are clear headsets however they do get a bit muffled if you are too close to your team mate, they work well all over the house and even when one person is out in the garden, with a range of 300ft these are great for all spy missions. This is a really clever piece of kit and one that is best for the older children.The camera comes with 2gb memory card, and usb cable to connect to a computer and upload your images and video. The camera can record videos or capture photos, depending on which setting you set it too, on the photo setting it will take a photo every couple of seconds. The camera take a full 360 degree shot of the room, which give some pretty cool images. Also included in the pack is a backing plate to attach too to enable you to spin across the floor and capture footage in another room, a wrist strap so you can attach the camera to your wrist and a sticky plate so you can attach the camera to a flat surface. The camera is recharged via connecting to your computers USB and lasts for several hours before needing a recharge. The photos are not great quality but certainly fun and the kids love looking back through their pictures to see who they caught on screen. Hi! This was very interesting article. Thank you so much. Though there were more equipment and devices, spy cameras are widely using for security purpose. Looking forward for more interesting posts like this.